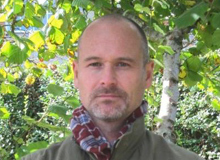 Paul is one of our senior consultants with over 15 years experience in arboriculture. He has helped to developed many of the company’s systems that improve the way we have been able to engage our clients in the management of their own tree stock but also has helped develop the company own bespoke tree management database and GIS MyTrees. He has several client contracts that he runs himself providing a high quality level of arboricultural advice for tree risk management, landowner duty of care and tree stability assessment including Static Load Tests. Paul is the UK’s leading authority on tree statics and tree structural assessments, a cutting edge system that was developed in Europe, which applies a wind load to the tree. He also manages tree work contracts for amenity and veteran trees; with a range of values from £1,000 to over £100,000. He provides training in tree surgery techniques required for working with veteran trees and health and safety advice. Paul is also experienced in surveying trees for risk and providing consultancy advice regarding trees in relation to development sites.